Cassandra is a beast to run, taking considerable resources to function at peak performance. 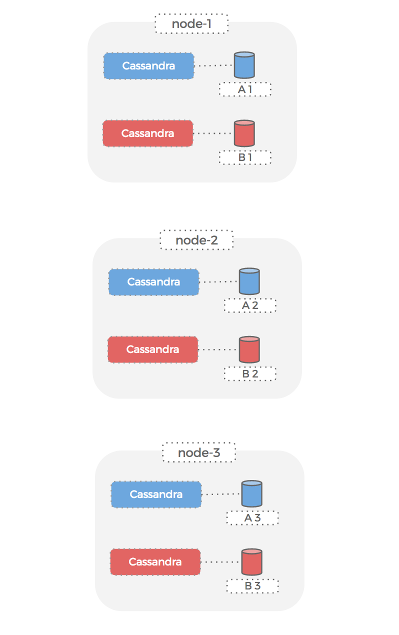 To help, learn how you can run multiple Cassandra clusters on the same hosts. Cassandra is well-known for its ability to handle some of the world’s largest database workloads. It was developed at Facebook and is now used by other web-scale companies like Instagram, Reddit, and Netflix. But Cassandra is also a beast to run, taking considerable resources to function at peak performance. The number of compute resources in the cluster. The amount of storage consumed by the dataset. The network transfer between nodes and ingress/egress for connected clients. The more resources consumed by your cluster, the more it will cost. That seems obvious, but the challenge comes in minimizing the resources to run Cassandra while maintaining sufficient performance. 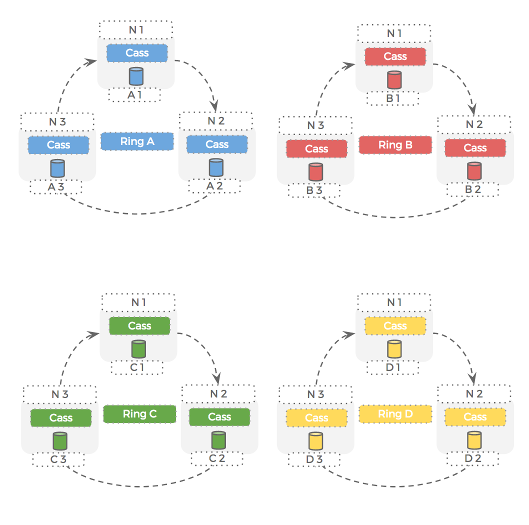 This is especially challenging when you want to run multiple Cassandra clusters (or rings). However, this is the most fragile solution. One problem with our filesystem or an erroneous rm -rf leads to problems for all the Cassandra clusters. 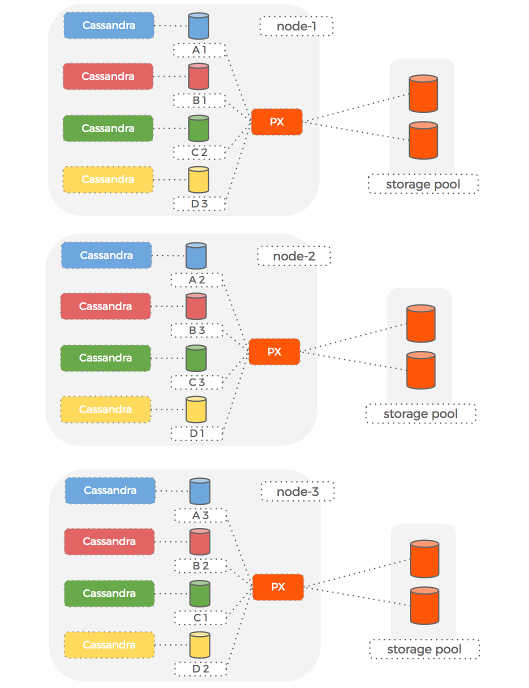 Ideally, we would we would like to allocate a separate disk for each Cassandra container. This gives us both isolation and ease of management. To squeeze every ounce of performance from our Cassandra cluster, we choose to run it on bare metal, high-spec machines. Each machine has 32xCPU, 512Gb RAM and 2x500Gb local SSD drives. We were pleased when the delivery arrived! This gives us a strong sense of isolation between the datasets for the two rings. We can take a backup for one of the datasets independently of the other because each lives on its own disk. Two months into the project, we take a look at our performance metrics and realize we are vastly under-utilizing our powerful hardware. We are using only 5% DISK, 20% CPU, and 15% RAM across our three-node cluster. We could be running four times the number of Cassandra rings and still have at least 20% of the resources free. 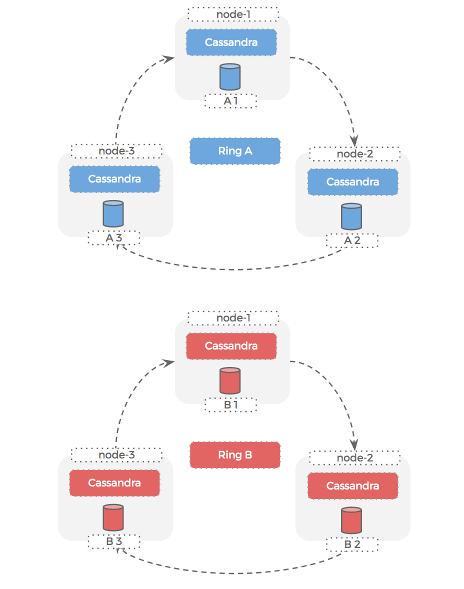 The next day, we begin fleshing out how we are going to make this work and realize the problem: Each node has only two block devices and we already have two Cassandra rings consuming both. 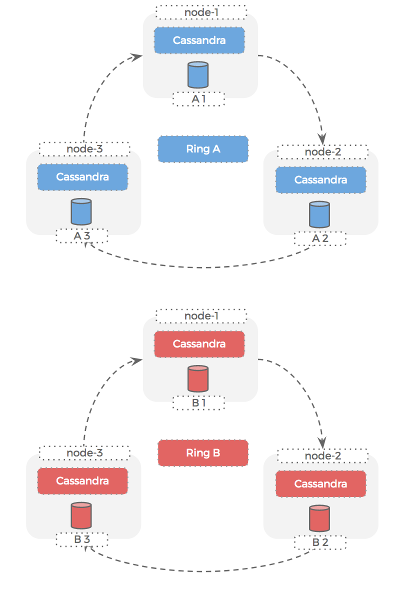 We think: It’s ok – we can just buy more disks for the new Cassandra rings. 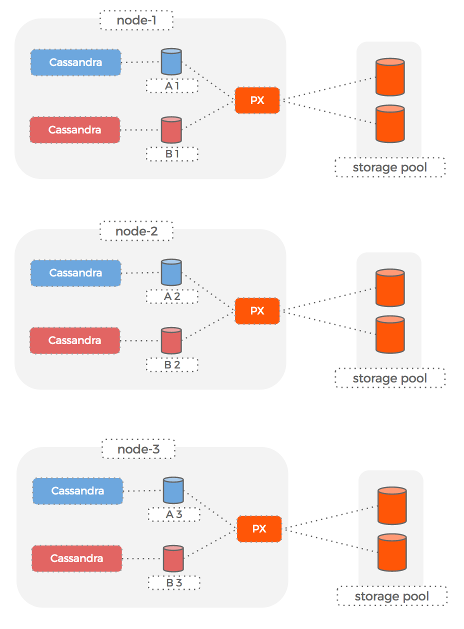 It pools the underlying storage and creates replicated, virtual slices as volumes that are presented to Cassandra containers. This means we get the container-level isolation that we need, but we can use the same underlying disks for multiple clusters. Let’s take a look at how this de-coupling of the storage pool from container volumes actually works. The problem we had was a tight coupling between the number of disks and number of Cassandra instances we wanted to run, therefore causing an under-utilization of CPU and memory. 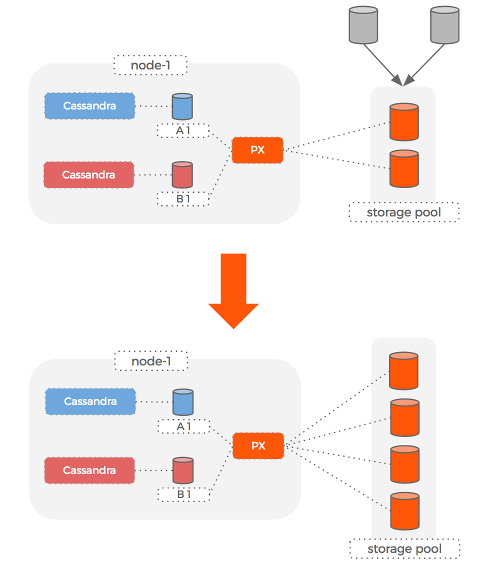 With Portworx, because the volume being used by Cassandra is decoupled from the underlying storage disks, we can simply add a new storage disk to the pool and then tell Portworx to increase the size of the volumes, all while Cassandra is still running. Modern data centers make use of very powerful machines in an attempt to maximize their floor space/compute capacity ratio. To really embrace cloud-native computing, we need to de-couple the underlying storage from the containers consuming volumes. Use an independent stand-alone volume per Cassandra container for safety and isolation. De-couple your underlying block devices from the volumes offered up to Cassandra. Increase the number of Cassandra clusters per host until CPU utilization is at the right level.